I am geting error on Contact 7... cause I have mapped my domain "craighunt.online" over "craighunt.automated.church"
contact 7..isn't recognizing it's a multisite, with mapped domain.. I found a thread in CF7 support forum where couple of people had this issue before, there are some fixes suggested there but it's not confirmed by the developers that it's included in updates. I changed the formatting.php file... didn't work. I changed the wpconfig.php file.. didn't work. But I created a new "site" and got all the notification emails..
Do you have any other suggestions for forms? Thanks. So I tried.. formiddable forms.. too..
No notification email is being sent.. I tried to replicate that on my end and with the most recent versions of Contact Form 7 and WordPress I wasn't able to. Regardless whether it's on a single install or Multisite WP with a mapped domain and an e-mail address in a domain that doesn't even exist on a server - there's no such warning for me. I think there might be an issue with CF7 checking server limitations. Could you please get in touch with your host and ask them if they put any "domain limitis" on PHP mail() function? 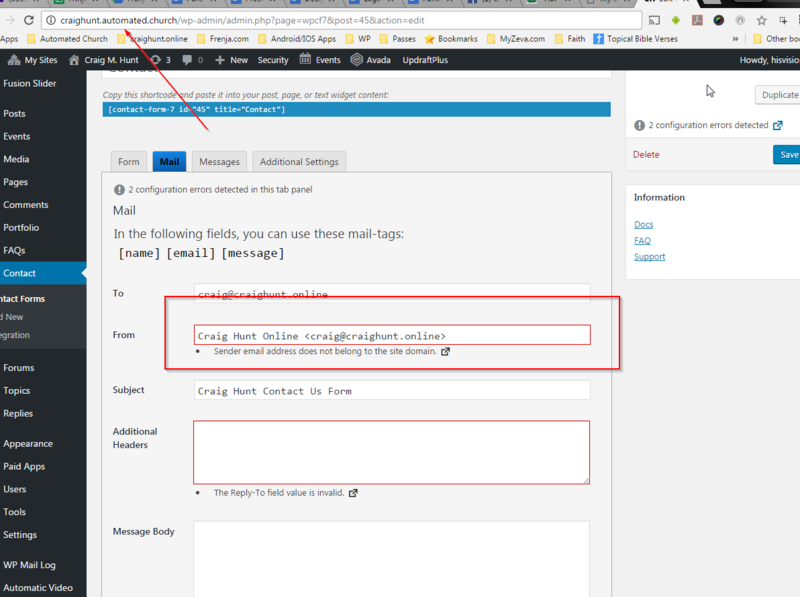 I setup mandrill through Mailchimp.com..
And then entering settings of Easy WP SMTP: took seconds..